Struggling to find something to do for the weekend, well why not give Go Ape a try! Go Ape is the UK's number one forest adventure. The classic and original Go Ape experience is our 2 – 3 hour Tree Top Adventure where you can really engage your adventurous side and have fun with friends. There are 28 Go Ape locations around the country, all set in some of Britain's most beautiful forests. 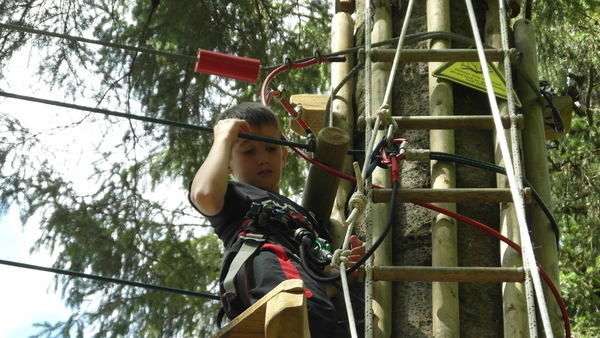 But no two of our Tree-Top Adventures are the same, and some locations also offer other outdoor activities like our Tree-Top Junior courses for kids and our brilliant Forest Segway safaris. Go ape also does gift vouchers, which would make the perfect gift for Christmas. Why not visit their website and see if this would be an experience you would enjoy.